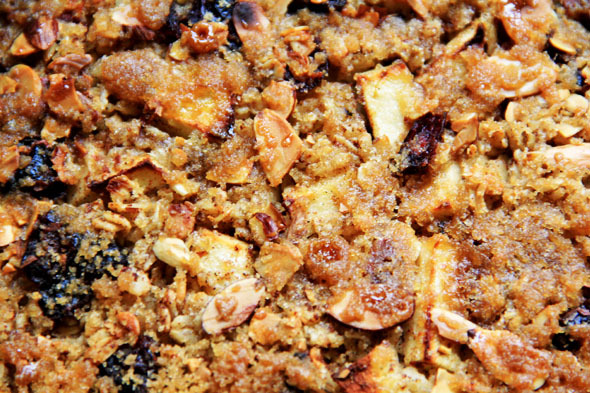 It’s almost like eating a giant oatmeal cookie for breakfast — almost. You guys are going to love this recipe. It’s amazing, and sooo simple — it comes together very quickly. 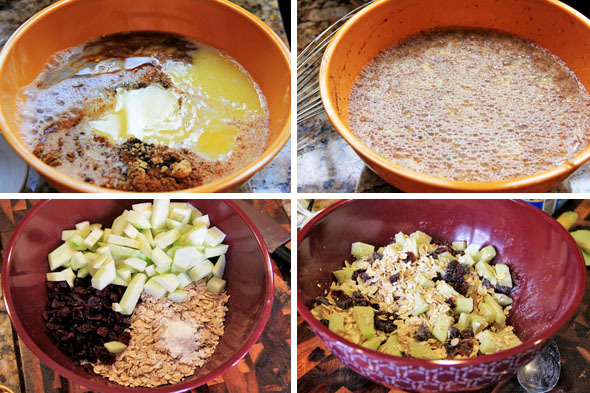 Oatmeal is a great foundation to add damn near anything you want, so you will find that this recipe is very adaptable. You can do whatever you want to it, and I promise it’ll be delicious. Add any combination of fruit you’d like, any nut you’d like (or not), use any kind of sweetener. The options are limitless, and the choice is yours. 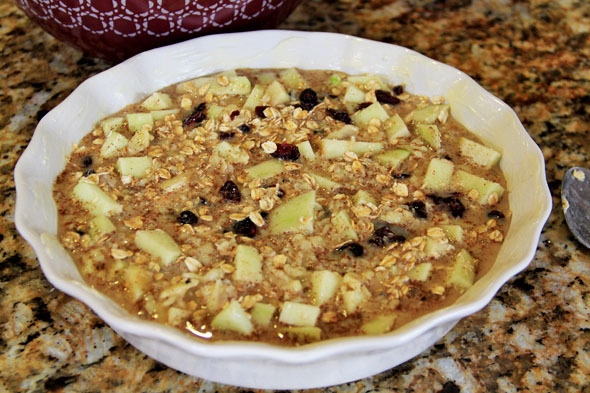 If you think oatmeal is supposed to be bland and boring, your mind will be forever changed by this delicious recipe. The flavors here are nuts, I’m not even kidding — everything just works. There’s maple, ginger, nutmeg, cardamom, vanilla, and cinnamon which make it so warm and comforting, like a hug in a bowl. I highly recommend you grate your own nutmeg for this and every recipe you ever make that requires nutmeg — seriously. 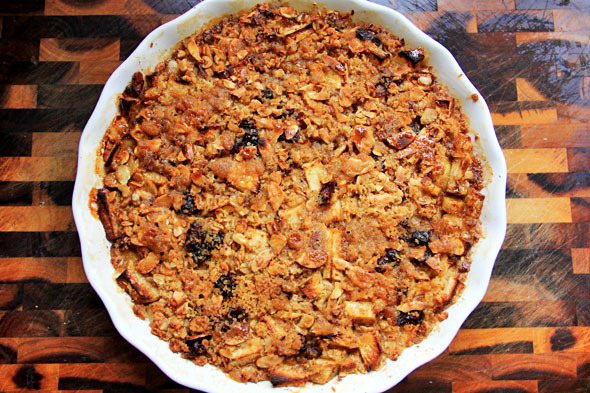 The tart apple pieces and cranberries offer a great acidic balance to the sweetness. The salt is necessary here, so don’t skip it. It helps bring out all of the flavors so you can actually taste everything. If you want to make this recipe healthier, I suggest you reduce or omit the sugar and use coconut oil instead of butter. Other than that, it’s not that bad to indulge in. Have fun with it, because your tummy will thank you. 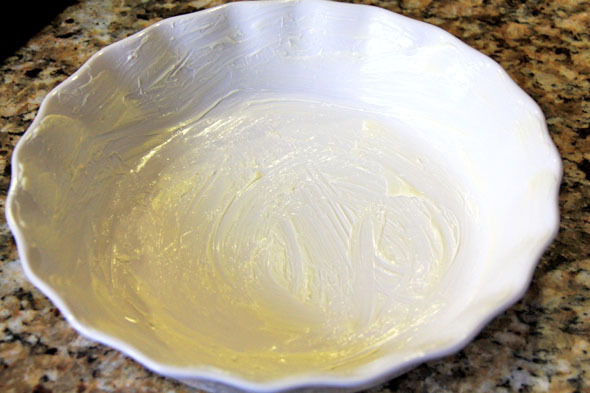 Grease a 9-inch or 9×9 baking dish with softened butter or coconut oil. 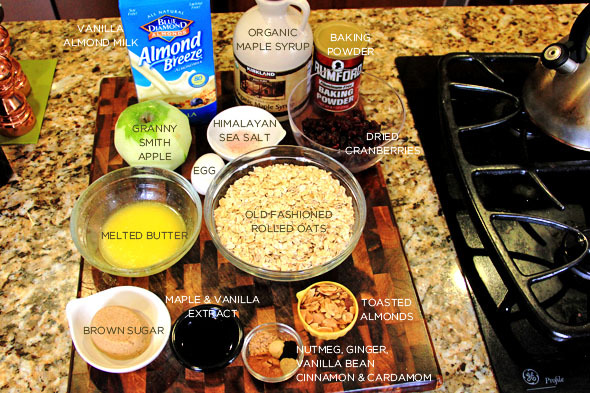 in a medium bowl, add the almond milk, egg, melted butter, spices, brown sugar, maple syrup, salt, and extracts. whisk together until evenly combined. 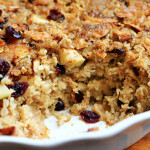 In another bowl, add the oats, cranberries, baking powder and apples. Mix it all together evenly. 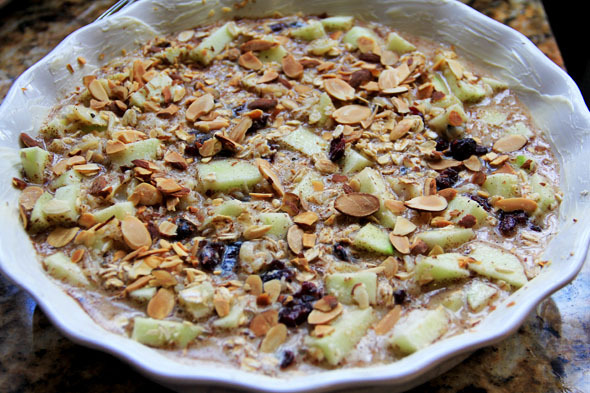 Pour the oat/apple mixture into the baking dish. Pour the almond milk mixture over the oats. 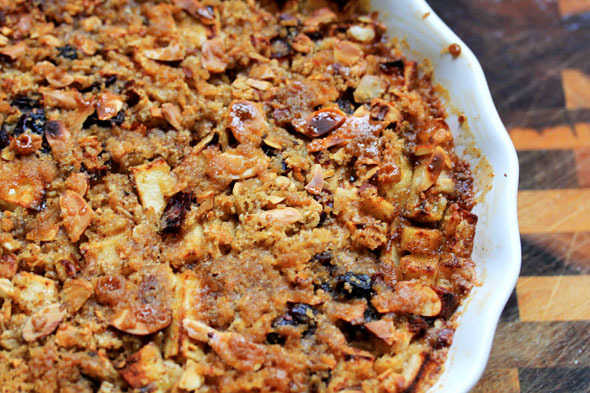 Sprinkle the toasted almonds on top in an even layer. 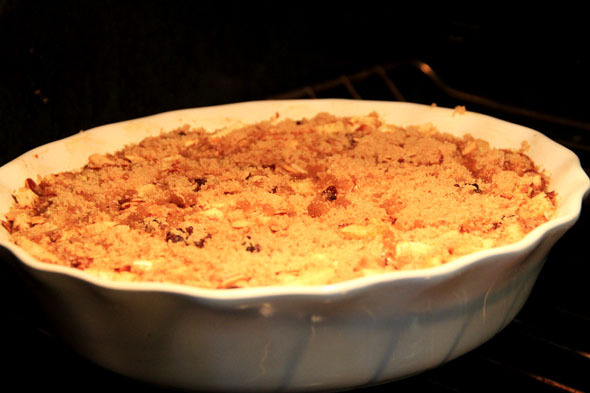 Sprinkle 2 tablespoons of brown sugar on top in an even layer, and bake an additional 15 minutes. 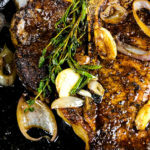 Turn on your broiler, and let the brown sugar caramelize for 2-3 minutes. 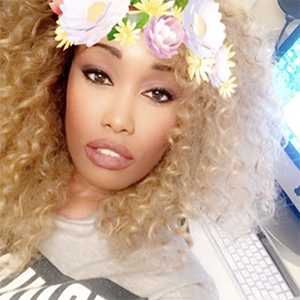 That texture on top is everything. 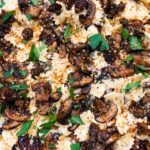 It really balances out the entire dish, as the oatmeal itself is very moist and creamy. I’m pretty sure this will become a staple in your kitchen. It’s way too easy to make, and far too delicious to deny the human body. 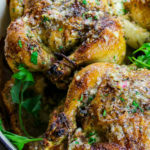 Grease a 9×9 broiler-safe baking dish with butter (see note below) or non-stick cooking spray and set aside. In a medium bowl, add the almond milk, egg, vanilla beans, cinnamon, nutmeg, cardamom, ginger, sea salt, 1/4 cup brown sugar (see note below), maple syrup, melted butter (see note below), vanilla and maple extracts. Whisk to combine, making sure the egg is fully incorporated. Set aside. 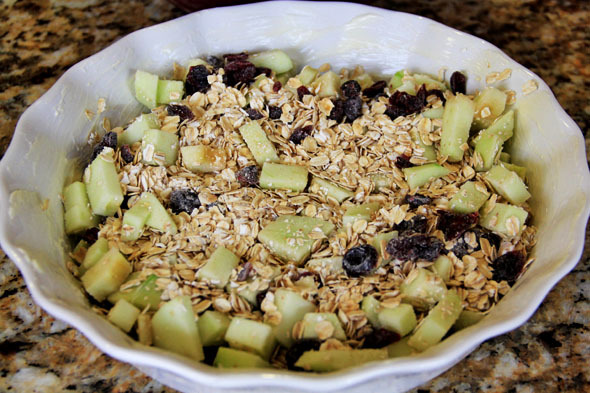 In another medium bowl, add the oats, baking powder, dried cranberries, and apple pieces. Mix together thoroughly to combine. 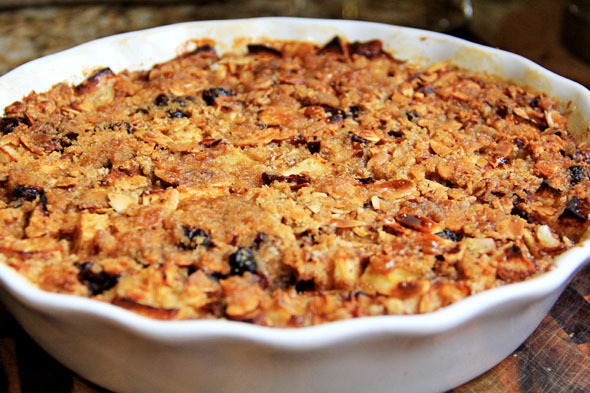 Pour oat/apple mixture into your prepared baking dish in an even layer. Pour the almond milk mixture over the oats, making sure it’s evenly covered. 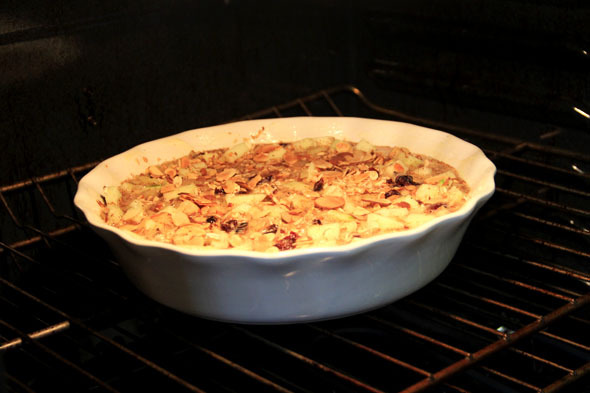 Sprinkle the toasted almonds on top and bake on the lower-middle rack for 30 minutes. Remove the dish from the oven after 30 minutes, and sprinkle the remaining 2 tablespoons of brown sugar over the top of the oatmeal. 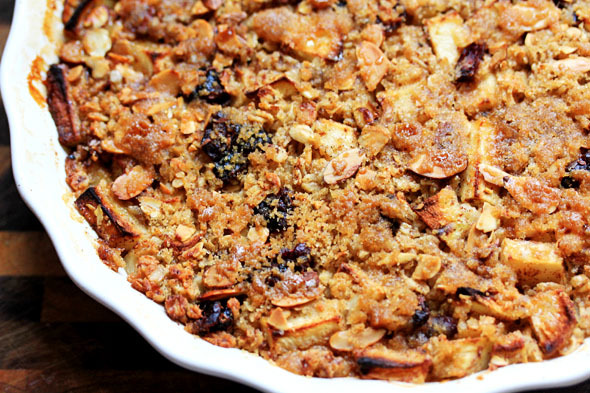 Bake an additional 15 minutes, then turn on the broiler to your oven. Allow the brown sugar layer to caramelize slightly for about 2-3 minutes. Please keep an eye on this to make sure the sugar doesn’t brown too much or burn. Remove from oven and let cool for about 5 minutes before serving. See note below for suggestions on how to serve this. Enjoy! You can use regular milk instead of almond milk. I used sweetened vanilla almond milk, but you can use unsweetened. 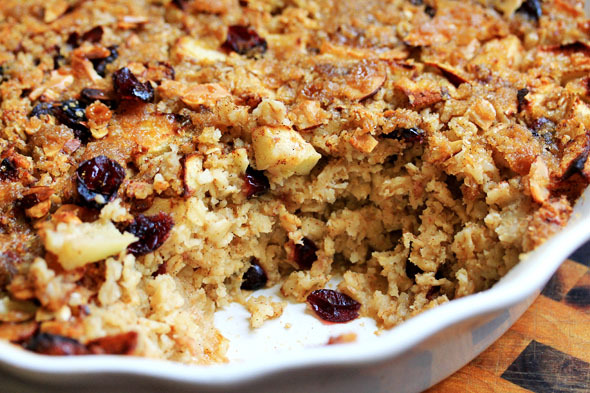 Depending on how sweet you like your oatmeal, you can totally adjust the amount of brown sugar and maple syrup used for this recipe. Either reduce it by half, or omit it. If you don’t have maple extract, use just 1 more teaspoon of vanilla extract. You can use coconut oil instead of butter for the entire dish. Serve with a light splash (1 tablespoon) of almond milk and/or a very light drizzle (1/2 teaspoon) maple syrup at the very end. If you’re feeling naughty, it would be awesome with a small scoop of gelato. This reheats well in the microwave, but do not overcook it because the texture will become gummy. 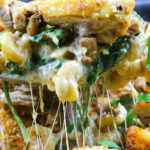 This looks absolutely delish!! Great job! 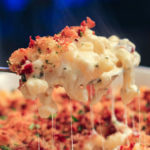 This is in my oven right now! Smells amazing. I am sure it will taste as good!!! Glad I randomly decided to check your website today. 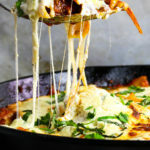 Your site was one of my fave food blogs to follow so your site was definitely missed when the posts stopped coming in! Glad to see you’re back to posting great recipes with flawless pics again. Thanks for the recipe! Can’t wait to try it. SMH I had a hard time finding that “Cardamom”! CAN I OMIT IT?